My previous post about painting on Aida looked at the beginning of my experiments. After rejecting the idea of either painting or stitching the outline on painted works, I moved forward by embracing the messiness of the process. 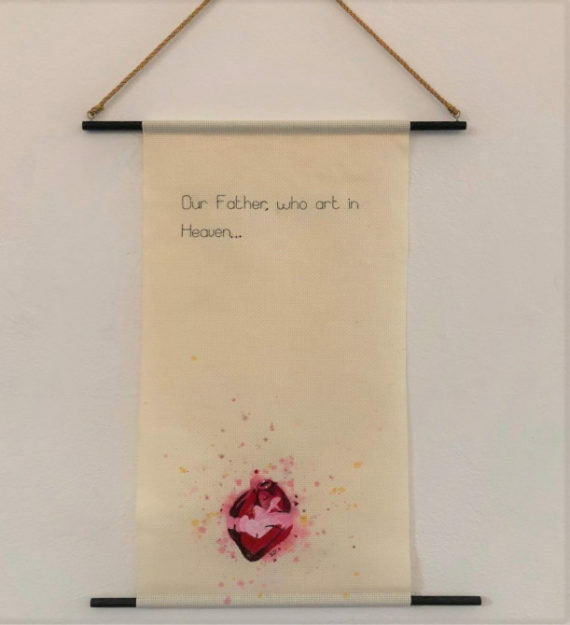 I produced a piece of work for an exhibition called Failed to Connect about my failure to connect with religion as a child while attending a Methodist school. I used to sit in the cream painted empty church and long to be allowed to leave. 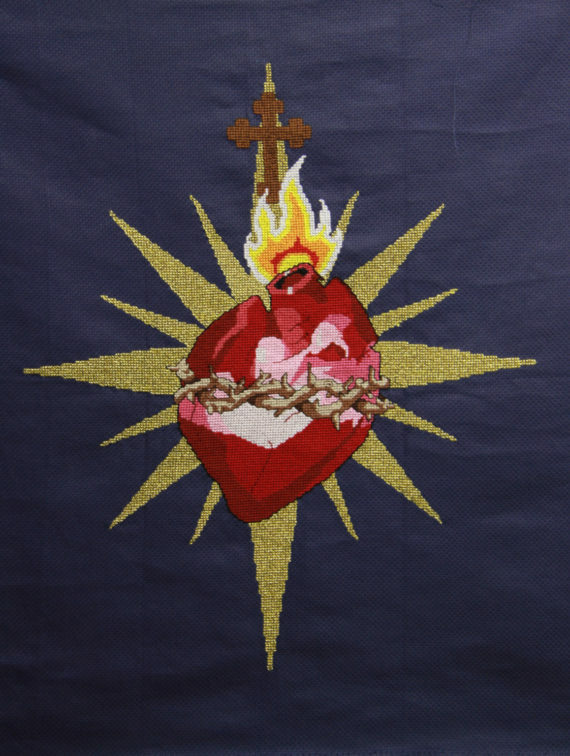 The work is in the style of a banner (one of the few decorative elements within the church), on a cream piece of fabric. I wanted the heart in the painting to reflect me, restless and full of life. The opening words of The Lords Prayer are stitched across the top of the banner leaving a blank space in the centre. In this instance I felt that the painting on Aida worked really well. I have also been working on a large scale piece of work over the last year. 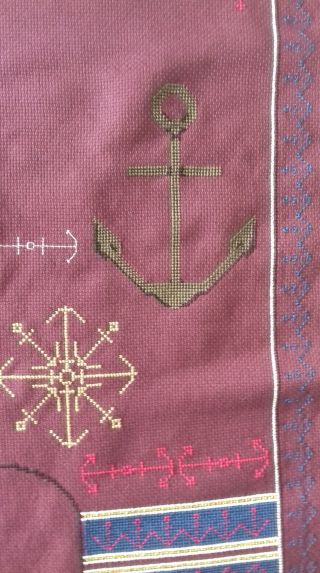 It’s in the style of a prayer rug, with a repeat pattern made up of interlocking anchors. In the centre there will be a large hand painted anchor. There is plenty more sewing to do before the painting can begin, and lets just hope that paint doesn’t drip on the stitched areas when that happens.